Grand Theft Auto - Vice City is the next GTA after GTA 3. 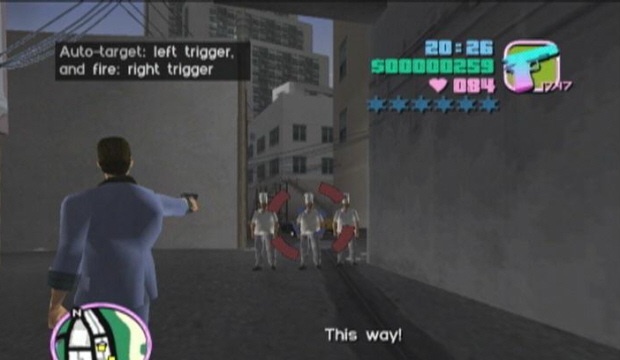 In GTA: VC you play as Tommy Vercetti. Vice City adds some features and vehicles from GTA 3. There are now motorcycles, helicopters and more boats. You can also use different types of weapon. While the island is very big, it is still fun to explore. 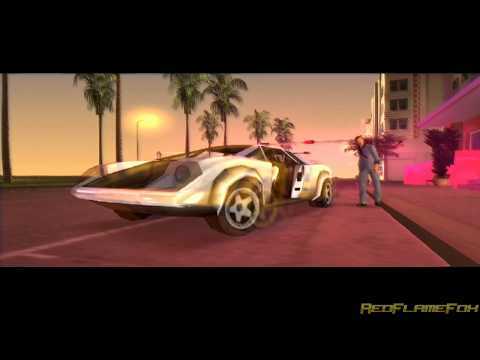 Vice City also features an awesome soundtrack. The colors are bright and clean, and the sound is amazing. Gameplay wise you can drive, shoot, fight, and do all kinds of side activities. The story is also kinda fun. If you're a fan of GTA or Open sand-box games, you won't be disappointed here. Now you can add videos, screenshots, or other images (cover scans, disc scans, etc.) for Grand Theft Auto - Vice City (USA) (v1.40) to Emuparadise. Do it now!